Fender feel meets winter wonderland in this sophisticated snowflake ornament inspired by the timeless Fender musical legacy. 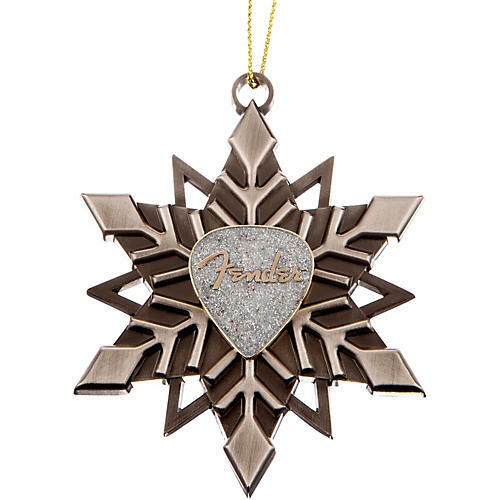 Celebrate the holidays along with more than a half-century of musical tradition and a true piece of statement tree dcor.Measurements: 3" x 2.6"
Fender feel meets winter wonderland in this sophisticated snowflake ornament inspired by the timeless Fender musical legacy. Celebrate the holidays along with more than a half-century of musical tradition and a true piece of statement tree dcor.